Medimer is pleased to introduce ourselves to you as a natural stone supplier with a full product line to service all of your natural stone needs. Medimer is part of the Venus Marble Group, which is a vertically integrated stone quarrier, processor, and distributor. We have quarries and factories in Greece, Bulgaria, and China as well as distribution facilities in the U.S. We have access to the best Chinese port for importation of raw material. 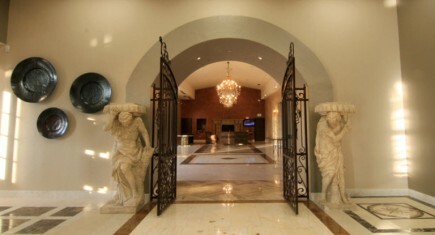 Medimer has placed stone everywhere from the Parthenon in Greece, to the Venetian and Palms Hotels in Las Vegas, to thousands of production and custom homes throughout the United States. We have supplied large national distributors and also helped smaller startup companies with our experience and knowledge of international stone supply. We are not only a direct source, we are the right source. Above all, we pride ourselves in guiding homeowners and customers through the stone selection process to ensure their satisfaction. Medimer has been in the stone and tile business for over 40 years. We frequently review new product options from different quarries and factories. We are continuously traveling the world to find new product colors and ideas to offer our customers. We own several of our own quarries and factories and have one of the largest inventories in Northern California and Northern Nevada.